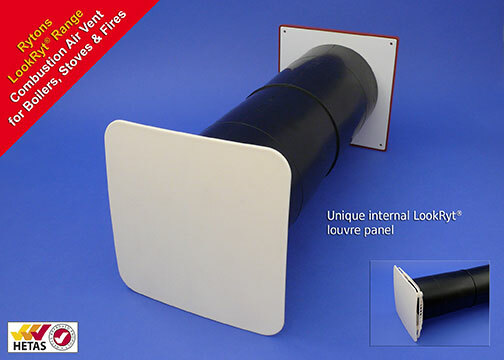 A new, innovative solution to disguising unsightly, draughty room ventilators is here! 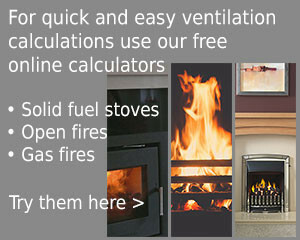 Rytons LookRyt AirCore Ventilators are a fantastic new range of 125mm dia. core ventilators. 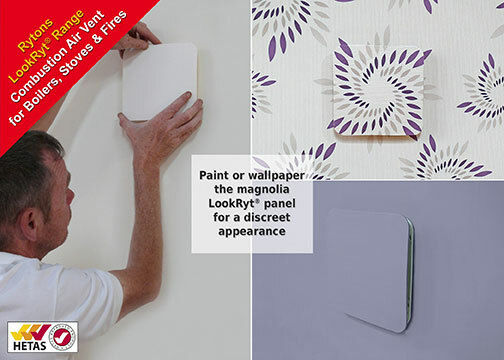 Each LookRyt AirCore set features a new internal LookRyt panel, uniquely designed with a face plate suitable for wallpapering or painting in any colour for a discrete appearance. The revolutionary design of Rytons LookRyt panels has angled openings around the rear of a flat face plate. This gives a multi-directional air flow allowing air to disperse evenly into the room – a fantastic improvement on the look and performance of standard grilles. There are eight new LookRyt AirCore Ventilators with fixed open louvre panels for ventilating boilers, stoves and fires and a further eight sets with a controllable panel for adjustable background room ventilation to meet Part F of the Building Regulations. There really is nothing else like this on the market!